Today’s Challenge: Forgive you mistakes. Be kind to YOU today. Take a moment to listen to the thoughts that come up for you when you hear the word “mistake.” Do specific times, events or people come to mind? If you don’t have to think hard about mistakes you have made, you probably are not forgiving yourself for them. Holding on to mistakes doesn’t help anyone. Although it is good to take responsibility for what we have done (especially when our mistakes hurt someone), it is pointless to continually punish ourselves for it. If you need help learning HOW to forgive yourself, these 10 Ways to Forgive Yourself may help. 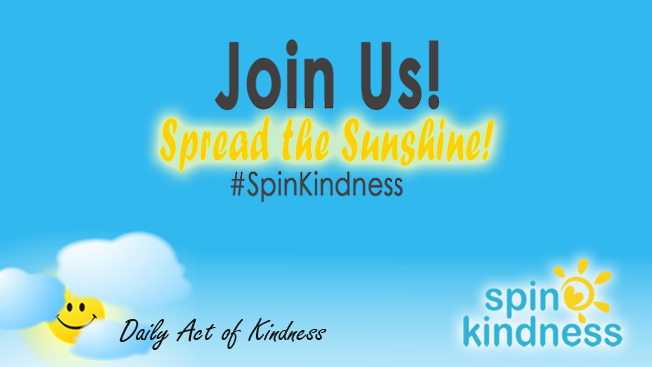 Share your experience with us in the comments or by using #spinkindness on Facebook or Twitter!